OK, so you may be pretty fit already but you can always get fitter. So why not do something a bit challenging at the same time, with loads of other people and help a good cause too. 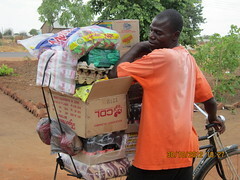 ColaLife is the charity partner for this year’s ‘Lionheart Cyclosportive’ which takes place on Sunday, 18 March, 2012. It starts and finishes in the splendour of the Longleat Estate in Wiltshire – my home county. There’s an entry fee of £28 and £1 of this will be donated to ColaLife. But you can also fundraise for us too. 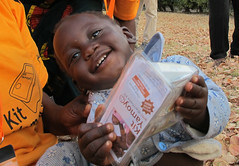 If you choose to do this you will become a member of ‘Team ColaLife’ and you will get an appropriately branded T-shirt! To help us fund-raise, register here: ColaLife Lionheart Ride, and follow the links to also register your entry with Spin Events in the Lionheart Ride. Come and join us at the ancestral home of The Marquis of Bath; Longleat House. Set within 360 hectares of stunning parkland and home to the famous Longleat Lions, Spin Events are once again offering riders the ultimate venue for the second Lionheart Sportive. The 100 mile and 100 km courses offer riders the opportunity to explore this beautiful corner of South West England. Enjoy wide, traffic free roads, twisting quiet lanes, challenging hill climbs with fantastic views, and fast descents through wooded coombes – all this, coupled with the excitement of riding close to the big cats at Longleat, will undoubtedly provide riders with a challenging and memorable day. Why not sell your unwanted ‘stuff’ on eBay! You’ll be surprised at how much you raise and you’ll give someone else enjoyment from something you no longer need. How does this help ColaLife? Well it doesn’t unless you tick the box and allocate a percentage of the sale price to ColaLife, so we’d quite like you to do this for us. 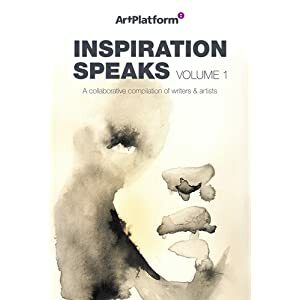 Inspiration Speaks is a perfect coalescence of the beautiful worlds of art and literature by the not-for-profit organisation ArtPlatform.org. Step inside these pages where heartfelt emotional writing collides with breathtaking art to produce a captivating world of imagination. A large portion of all profits will be going to benefit ColaLife; dedicated to helping remote communities in need. So open your heart – then open your mind – and allow inspiration to speak to your soul. Thanks to Nichole Herbert of ArtPlatform and the contributing artists for choosing ColaLife as the benefiting charity for this project. May be you’d like to stop smoking or cut down on the drink a bit – I’m certainly up for the latter and know it’s more of a habit than anything else. Why not break the habit? Instead of reaching for another cigarette, bottle or glass, reach for your mobile phone. Just text COLA44 £10 to 70070 to donate to ColaLife. £10 too much? £5, £4, £3, £2 and £1 options also work – every little helps! Join the ColaLife Facebook community – add your own posts or comment on others. We are a friendly bunch who think the world can be a better a place if people worked more imaginatively together. Anybody got any other suggestions?